Final Phase now open!!! Private, wooded 11.1 acre lot with walking paths and breath taking views nestled in a cul-de-sac surrounded by custom homes. Come see why Nocentino Homes is one of the finest custom home builders in our area. Where meticulous attention to detail and fine quality craftsmanship stand out in every home. We make building a home exciting and easy. Start by choosing one of our floor plans and if you want to make changes, no problem. From small changes to designing your own home, that's our specialty. There is nothing Builders Grade in a Nocentino Home. Some of our quality features are 9FT ceilings and 8FT estate height doors, rounded drywall corners, open floor plans, perfectly designed archways and stately columns. Make your home a showpiece with our outstanding windsor trim designs and our handcrafted staircases. Visit our design centers and a professional will help you design every facet of your new home. Making choices has never been easier! Design your dream Kitchen, Choose your cabinets, center island layout, granite, hardwood flooring and light fixtures. Dreaming of that free standing tub in your master bathroom? Nothing is impossible! All floor plans include 2x6 exterior walls, 3 Car Garage, 2 Zoned HVAC, Full Basements with 9FT Superior Wall System. Price does not include the lot premium that applies to this lot. Home To Be Built. Other floor plans available. Photos are of finished homes to show the builders work. 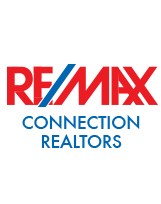 Agents must register their buyer in person prior to first visit in order to receive a commission.